14 Then Amos answered, and said to Amaziah: “I was no prophet, Nor was I a son of a prophet, But I was a sheepbreeder And a tender of sycamore fruit. 15 Then the LORD took me as I followed the flock, And the LORD said to me, ‘Go, prophesy to My people Israel.’ 16 Now therefore, hear the word of the LORD: You say, ‘Do not prophesy against Israel, And do not spout against the house of Isaac.’ 17 “Therefore thus says the LORD: ‘Your wife shall be a harlot in the city; Your sons and daughters shall fall by the sword; Your land shall be divided by survey line; You shall die in a defiled land; And Israel shall surely be led away captive From his own land. '” (Amos 7:14-17). Our photo below was taken on the road between Tekoa and Bethlehem. 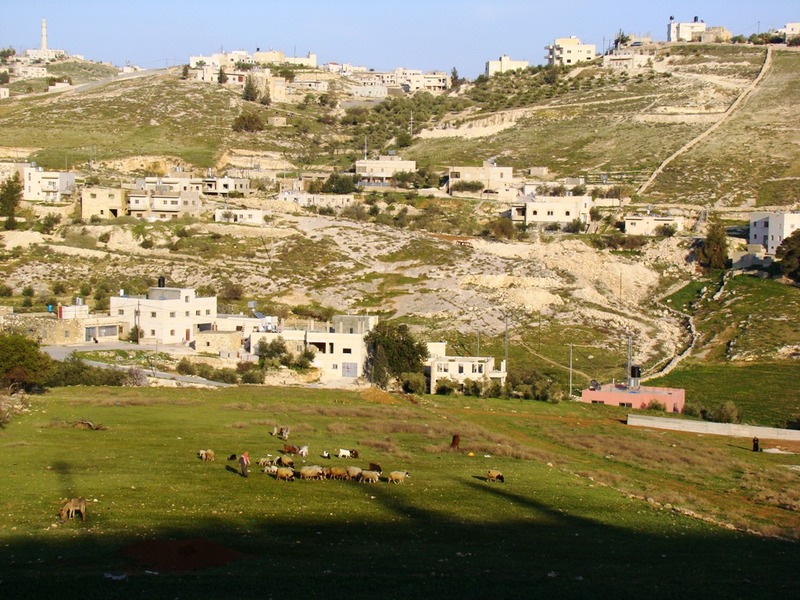 You can see the sheep in the distance, which illustrate the kind of work Amos would have done in this general area before being called to the prophetic office. Sheep near Tekoa. Amos was a sheepherder. Photo by Leon Mauldin. 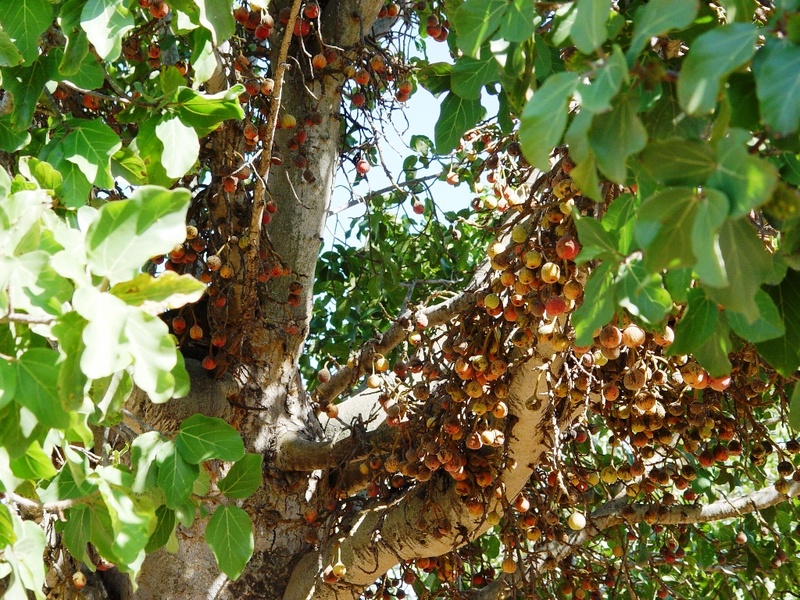 Note also that Amos said that he was a “tender of sycamore fruit” (NASB: “a grower of sycamore figs” and NET: “I was a herdsman who also took care of sycamore fig trees”). Below is a photo of the biblical sycamore tree. Sycamore tree, which produces figs. Amos tended trees like this. Photo by Leon Mauldin. Here is a close up of the fruit. 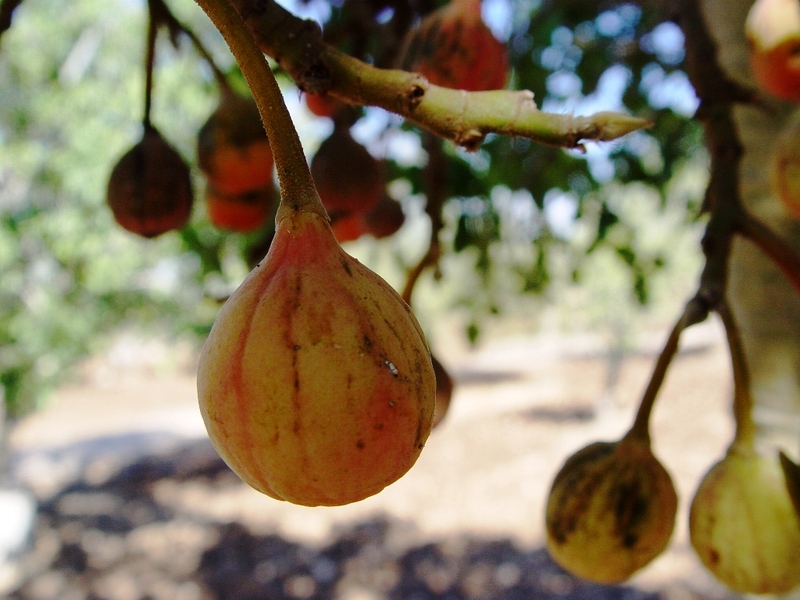 The sycamore fig is inferior to the fig produced by the fig tree, and was eaten by the poorer people of the land. Close-up of sycamore figs. Photo by Leon Mauldin. A pleasant surprise: our friends John and Lisa Hains of Jordan, Ontario, invited us to spend the night in their home (when our Sudbury meeting concluded) and then get us to the Toronto airport for our flight home (to “Sweet Home Alabama”). 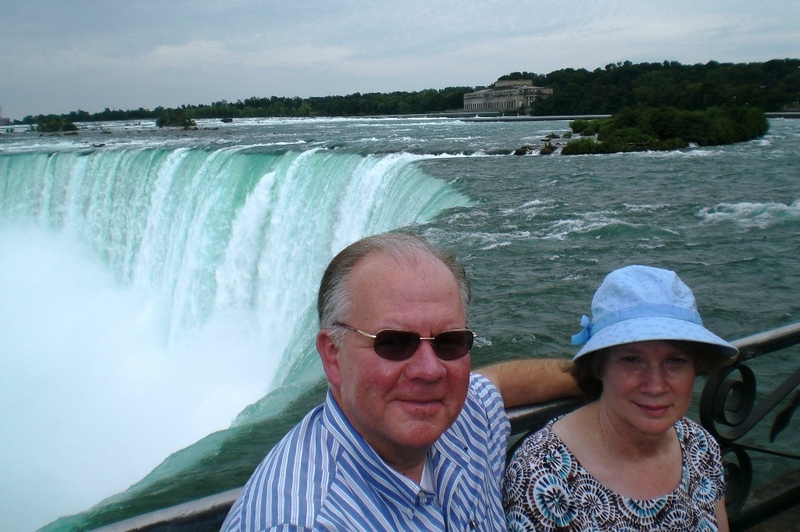 John met us when I turned in our rental car at Toronto, and en route to his home took Linda & me to see Niagara Falls, which was our first time to do so. The Falls are only about 20-25 minutes away from his house. John took this photo. Leon & Linda at Niagara Falls. Photo by John Hains. This entry was posted on Wednesday, August 3rd, 2011 at 10:17 PM and is filed under Bible History and Geography, Bible Study, Israel, Old Testament, Travel, Uncategorized. You can follow any responses to this entry through the RSS 2.0 feed. You can leave a response, or trackback from your own site.